By the end of Week 4 of the I Quit Sugar program, my husband was sick with Man-Flu and craving pizza, his comfort food. 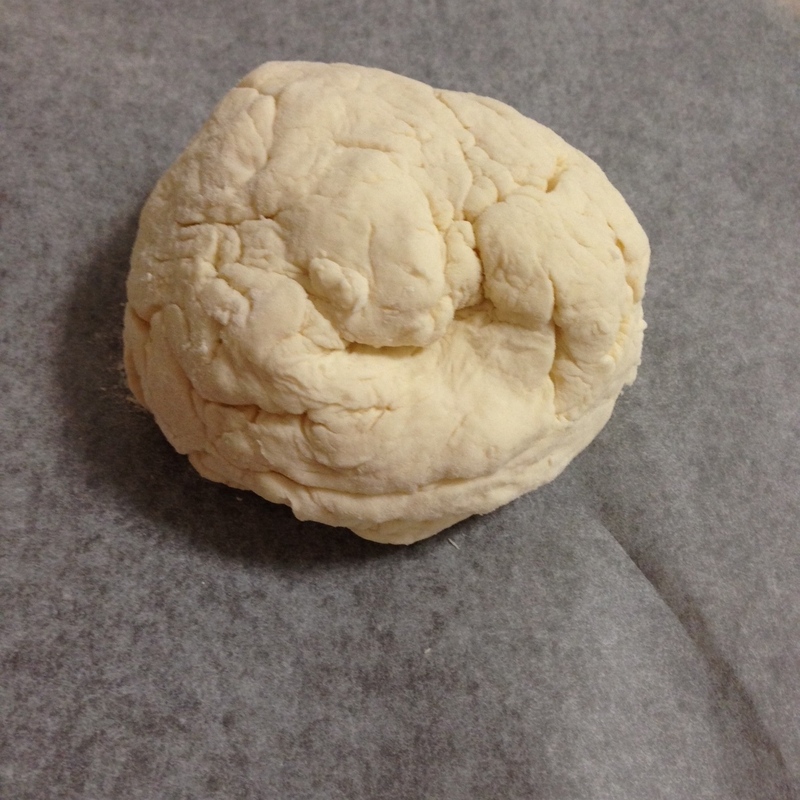 I happened to come across a pizza dough recipe with only two ingredients – greek yoghurt and self raising flour. It was a sign! I had to see if it really worked, so I whipped one up for lunch. I love greek yoghurt, but no one else in the house is really keen on it, so it seemed like a good way to sneak more into their diet. My husband loves to make pizza dough the old-fashioned way, so he was skeptical of this ‘cheat’ greek yoghurt base. Even as I was mixing it all up I wasn’t convinced it would work. But it did, creating a light, soft and fluffy base that held up well. 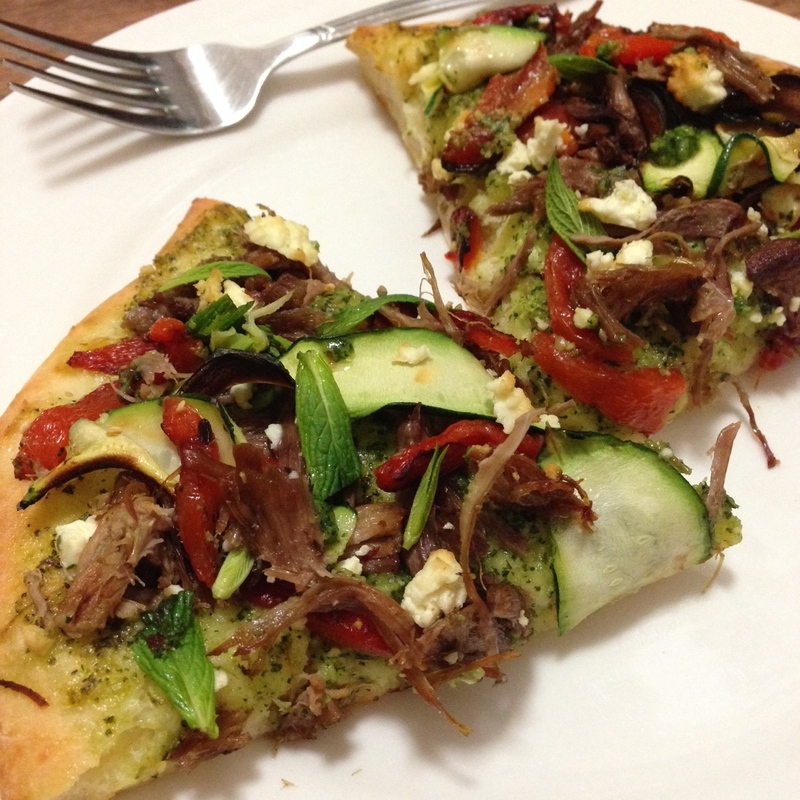 I had some leftover slow-cooked, shredded lamb in the freezer from earlier in the program, so I paired this with a mint pesto base, roasted capsicum, zucchini and feta to create a fructose-free (tomato free) pizza. The base is very versatile and I imagine would lend itself well to other quick and easy treats – focaccias, bread rolls, cheese or pesto scrolls…. oooh, cheesy-mite scrolls anyone? I have read that it also works well with gluten-free flour. You can find the recipe for the mint pesto here. 1. Roast the capsicum: Cut the capsicum into four and discard the seeds. Place skin-side-up under the grill for 10 – 15 minutes until the skin is black and blistered. Remove from the oven and place in a freezer bag for 5 – 10 minutes. This allows it to sweat, making it much easier to remove the black skin from the capsicum flesh. Peel the skin off, and slice the capsicum into thin strips. 2. Preheat the oven to 200 degrees celsius, and line a pizza tray with baking paper. 3. Combine 1 cup of self-raising flour, and the greek yoghurt in a bowl, and start to bring the mixture together with a spoon. When the mixture starts to form into a dough, knead with your hands until the dough is no longer sticky. The amount of flour required will depend on how thick or runny your yoghurt is, so start with 1 cup and add extra a little at a time (I ended up using 1 1/3 cups altogether). After kneading, the dough should not be sticky – add a touch more flour if necessary. 4. 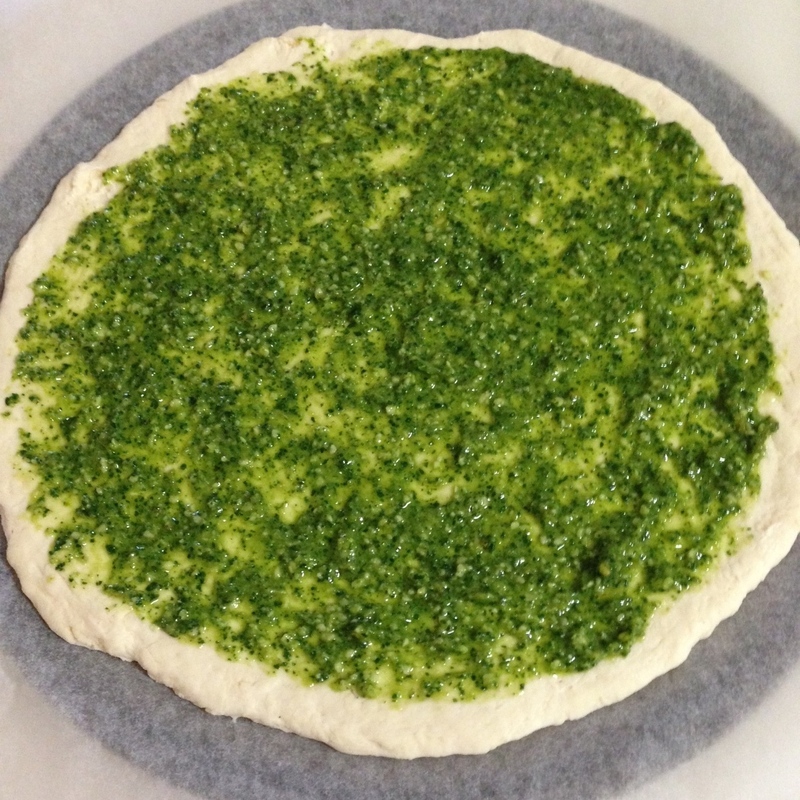 Place the ball of dough onto the pizza tray and pat out into a circle. Use a rolling pin to roll the dough out. 5. Use the back of a spoon to spread 2 tbsp of the mint pesto over the base. Top with the lamb, roasted capsicum, zucchini and crumbled feta. 6. Bake the pizza for 10 – 15 minutes, until the toppings are cooked and the edges of the pizza are lightly browned. 7. Garnish with the remaining mint pesto, and mint leaves, if desired. Note: I used leftover slow-cooked and shredded lamb shoulder I had in the freezer. Keeping cooked and shredded meat in the freezer for recipes like this is perfect – a tip I learned in the IQS program. Slow-cooking the lamb results in a deliciously tender, pull-apart meat. 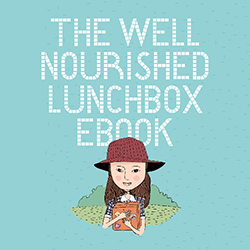 But otherwise, any cooked and sliced lamb will also work. I ate mine with a fork because I’m a pizza loser…. But the dough does hold well enough to pick up!